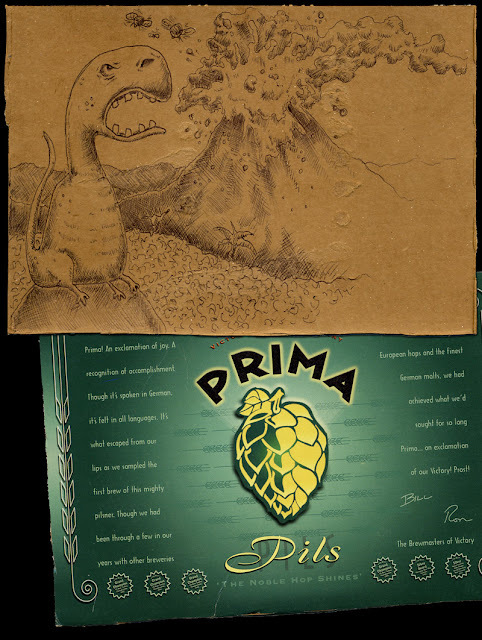 Another postcard drawing – this one on the back of a Victory Prima Pils 6-pack panel. Not sure who it’s going to. If you want it, email me your address and I’ll put it in the mail. Great for spicing up your cubicle. This entry was posted in 6pack, bugs, dinosaur, postcard, victory, volcano. Bookmark the permalink.